Developing an Instagram brand strategy has been a huge focus for digital marketers over the past several years. As social media has become an essential part of everyday life, marketers are always looking for ways to take advantage of the time and attention people spend consuming social content every day. Think about the last 10 Instagram accounts you decided to follow. What set them apart? Accounts with a strong Instagram brand strategy have a better chance of attracting new followers, increasing engagement, and creating a recognizable Instagram brand. The types of content you share can help you attract new followers, increase engagement, and create a recognizable Instagram brand. Why do you need to create an Instagram brand? Believe it or not, there was a time before pet influencers and#foodgrams – but now users and brands across the world share 95 million images a day on Instagram. When it comes to mobile applications, Facebook continues to grow – combating a declining interest among younger generations with a silver surge of older users joining the platform. Snapchat is extremely popular with teens and young adults, and Twitter still has a dedicated following of power users, but both platforms seem to have reached a growth plateau. On the other hand, Instagram continues to increase the active user base year-over-year – and it shows no signs of slowing down. In 2018, the platform grew to more than one billion monthly active users for the first time. 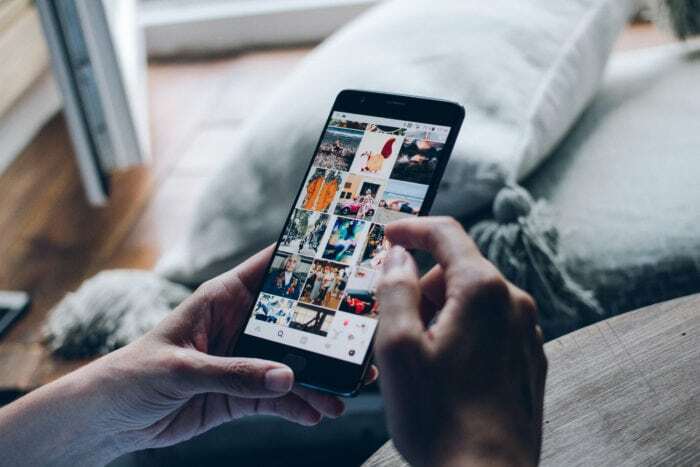 The sheer volume of traffic on the mobile-based photo- and video-sharing social network is enough to entice big brands and small businesses alike to define their Instagram brand. More importantly, however, Instagram has some of the most engaged users of any social platform. According to research from Forrester, engagement with brands on Instagram is 10 times higher than Facebook, 54 times higher than Pinterest, and 84 times higher than Twitter. That’s an incredible opportunity for marketers. So, how can your business craft an Instagram brand strategy that delivers results? No one visits your Instagram profile to look at a single image. One post can catch their eye, but your entire feed – especially the last nine images you posted – is what helps users decide whether they should join the ranks of your following or swipe back to browsing. Show them who you really are. Unique, original, and authentic content is the best way to engage your followers, especially on community-focused platforms like Instagram. The rules of good brand management still apply. After all, your Instagram brand is only one piece of the branding puzzle. It should still match your established voice and marketing materials. Be strategic about what you post and when. When you share something on Instagram, the photo doesn’t exist in a vacuum. As you add more photos, each post will move down in your feed – but it will always appear next to the previous photo shared and above the third. Consider how each image will fit into that matrix before sharing. If it doesn’t quite fit, you can always save it for a later post. Keep things consistent. No, it’s not just about the frequency of your posts. Social platforms like Instagram are focused on engagement, and it’s hard to connect with a brand (or a person) that changes voice, visual style, or content strategy from post to post. It’s important to remember that, while you may have different people posting to your social feed, it should be a consistent experience for your followers. Nailing your Instagram brand takes time, but these tips can help you start thinking about the big picture. For more information about managing your social feed, check out You Need to Work on Your Images: Why Your Social Feed Matters. Want more posts like this? Subscribe to infernotes to get our latest blogs right in your inbox!